Many have called the Americans with Disabilities Act of 1990 the most groundbreaking legislation since the Civil Rights of the 1960s. This year, the ADA will turn 25. That’s 25 years of leveling the field to provide equity of opportunity regarding employment, transportation, building access and telecommunications. The ADA held companies accountable to ensure that people with disabilities could participate in all aspects of daily life, have access to jobs, and transportation that would enable them to get to wherever they needed to go. The ADA was a game changer not only for people who have disabilities, but also the companies who made a conscious decision to move beyond compliance to reaching a new market. Host an event that features the positive impact on the ADA in your company and industry. Create digital ads that demonstrate your organization’s commitment to the disability market. Engage your organization’s marketing and HR departments to hold an executive roundtable to identify how to bolster engagement of people with disabilities, as employees and consumers. SMG suggests taking a step further and creating a 6 months action plan will allow your company to begin 2016 with the disability market on the radar. Provide a forum for your Employee Resource Group for employees with disabilities to meet with executives, and have candid discussions about how the company can be a Best Place to Work for employees with disabilities. Become a corporate sponsor of the ADA Legacy Project, which is showcasing events throughout the country. To learn more visit www.adalegacy.com. We hope these tips will help your organization celebrate the 25th Anniversary of the ADA! If you’d like to learn how to understand, penetrate and retain the disability market contact the SMG Team for a 30-minute discovery call to gain further insights. To schedule, send a message to cbeaty@disability-marketing.com. The Solutions Marketing Group has found through our years of research that beyond what a company says about its product, service or accessibility in an ad, the number one way that people with disabilities determine whether or not they’ll pull the trigger to buy is what they hear from their peers. 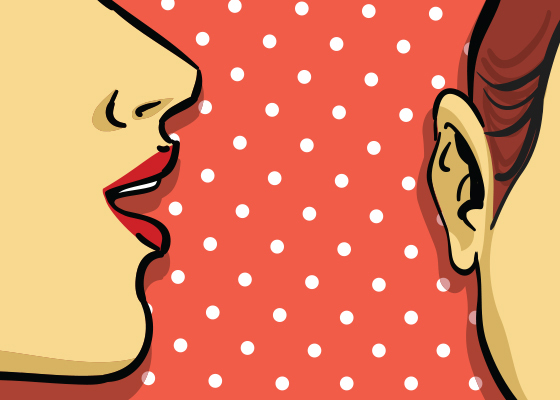 We’ve heard consumers tell us throughout the country that word of mouth provides a weightier, more credible endorsement than anything a company can say about itself. Why is that? Because we’d rather hear about the experiences of others who have similar experiences or health needs, than anyone else. Consumers don’t mind sharing a lot of information with friends, colleagues, and/or parents with children with disabilities. Topics range from identifying van conversion companies in a specific region; discussing service providers that have a successful track record; finding travel destinations, like Disney; theater arts companies that are accommodate a range of disabilities; or even the airlines that have a consistent track record in providing amazing service – on and off the plane. We do not hold back when it comes to sharing information. We want seamless experiences, as our non-disabled peers, and we want to hear from people who have experienced what we need. We used to share face-to-face, with a phone call or in a support group. Social media has changed all of that. We dig into company websites, we read reviews on sites like Trip Advisor, and we ‘like’ what our friends say on Facebook, or we retweet on Twitter. Whatever it is, we tell it. People decide to tell other people. Start with that and get them talking about your organization. Make sure what your walk and talk line up, because this market can spot a phony. Once you’ve done your work to understand the market, create a robust marketing strategy that includes digital/social media. Once your company captures the attention of the disability market, they will tell each other.